How Much Data Do Zynga Mobile Games Use? Can someone tell us on average how much mobile data Zynga games consume on 3G and 4G networks? AT&T (NYSE: T) announced a strategic agreement with Zynga today. Zynga games will be featured for download on for AT&T customers. Games such as Words With Friends and Poker will be featured for download on iPhone and Android devices. This is not surprising to see, since AT&T starting capping data plans. The million dollar question in the $2 billion dollar Zynga IPO (Nasdaq: ZYNGA) is will the game data usage count against your AT&T data plans? If AT&T does the right thing they will encourage you to use the games over WiFi and warn you about the amount of data you are using. 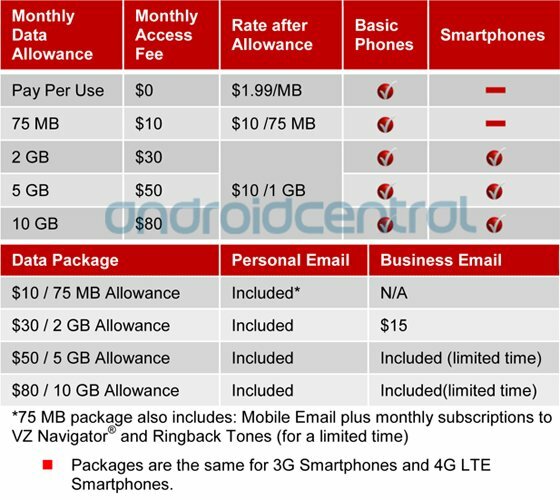 Verizon and AT&T will be monitoring how much data that you use and will charge you according to their tiered data plans. However, consumers still don't have any credible 3rd party tools to monitor mobile data usage. This is just another reason why we recommend that you keep your T-Mobile unlimited data plan. You should also beware of the AT&T 200 mb data plan if you plan to play a lot of mobile games on your iPhone or Android device as well. How Much Data is Used Streaming Pandora? There are between 20 - 30 million inexpensive unlocked iPhones on the used market today and many of them are being sold on Amazon and Ebay for $100 - $500. Smart mobile phone shoppers can save lots of money buying a used phone that is unlocked. Buying a cheap iPhone can save you lots of money using a cheaper data plan from T-Mobile or another GSM carrier. We discovered do research that one third of the iPhones being sold Ebay were unlocked. 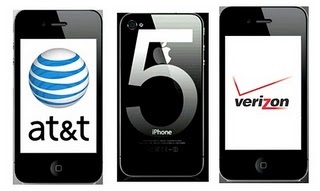 Unlocking the iPhone is the process of using software to modify the iPhone to work with other GSM carriers if purchased from AT&T or CDMA carriers if you purchased a Verizon phone. How Many Unlocked iPhones Are There? LightSquared’s is a new high speed data only wireless company with a mission to revolutionize the U.S. wireless industry. Light Squared has created the first-ever, wholesale-only nationwide 4G-LTE network integrated with satellite coverage. ightSquared offers customers the speed, value and reliability of universal broadband connectivity, wherever they are in the United States. Placing calls over satellites is expensive and impractical compared with using cell towers, so the FCC allows spectrum holders to back up satellite coverage with towers. That gives LightSquared a "back door" to building out a conventional ground-based network of cell towers. Its integrated LTE-satellite network will serve critical public sector needs such as emergency preparedness and seamless communications in times of crisis. The key competitive advance for Light Squared is its satellite coverage. LightSquared's satellite network (Boeing) was launched into geostationary orbit over North America in November 2010. Among the largest and most powerful commercial satellites ever launched, this space-based network will provide coverage to users when they are out of cellular range. LightSquared's next generation satellite with its 22-meter-diameter reflector will allow for connectivity to mobile devices without penalizing form factor, battery life, or performance. Other cellular providers are limited to offering wireless and mobile broadband services to customers strictly via cell phone towers or limited satellite connections. By integrating a national LTE network with ubiquitous satellite coverage, LightSquared will not only offer its partners a new wholesale revenue platform, but will also provide end users with a reliable and fast experience, regardless of where they are in the United States. Don't be surprised to see Direct TV (NYSE: DTV) as one of the first re-sellers of Light Squared's 4G/LTE service. The LightSquared network is designed to support present-day and emerging wireless devices without restrictions or the hassle of buying a new phone locked to a specific network. Its open wireless ecosystem removes existing barriers to the development of innovative applications and services in the mobile Internet space. As a wholesale-only operator, LightSquared will deploy an open 4G network to be used by existing and new service providers to sell their own devices, applications and services, at a competitive cost and without retail competition from LightSquared. Mobile phone consumers will not buy 4G/LTE data service directly from LightSquared. Instead, it will wholesale to other companies like cable, regional phone companies and broadband providers that can resell it to consumers. 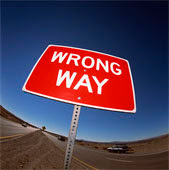 LightSquared plans to start selling the service in the second half of 2011 in Las Vegas, Phoenix, Denver and Baltimore. The deployment and operation of LightSquared’s network represent more than $14 billion of private investment from Harbinger over the next eight years to cover 92% of the U.S. popluation. For more information about LightSquared, please go to LightSquared.com, facebook.com/LightSquared and twitter.com/LightSquared. Where is AT&T LTE available? *Why is Apple's Stock (Nasdaq: AAPL) Getting Crushed? *How Does 4G & LTE Compete with Free? Beware of Verizon Wireless's new tiered data plans that will be launching on July 7, 2011. I can already tell that their data plan is going to be a huge scam praying on customers who don't understand how to calculate megabytes and gigabytes. There are 1000 megabytes in a gigabyte. Will they automatically bump you up into a 75 MB or just be silent and let the bill arrive in your mailbox. Most likely the later knowing Verizon's unscrupulous billion practices. Verizon wants charge you $2 for every megabyte on a Pay Per Use plan. However, if you committed to to the 2-5GB plans you will be paying $30 to $80. So beware if you are on the $1.99/MB plan and use 1000 megabytes or a Gigabyte you will be charged $1000. Someone in Verizon's accounting department clearly either doesn't understand the economics of pricing or byte and bits. Their tiered data plans charge .01 cent per megabyte which sounds expensive as well. For example: I use about 2 GB per month on T-Mobile HSPA+ 4G and I pay $25 per month for unlimited data. That would be $30 per GB Verizon and $10 per GB after the plan allowance. However, if you don't have credit or pay as you go that would have cost me $2,000 at $2 per megabyte. Verizon is surely going to have some lawsuits from this scam if its not corrected soon. Carriers are clearly losing momentum to consumers who are using WiFi only and not willing to pay for expensive 3G data plans. Also, these are the same carriers that are asking you to offload your data onto free WiFi because their networks are congested. It has become crystal clear to me that we will be using 4G and LTE in the coming decade as a last resort and not as the primary means for data access. Its not getting cheaper and the networks are getting worse about handling the traffic. I suspect that we will soon have wireless armageddon in 2012. The only thing you can do as a consumer is to use your data plans sparingly, connect to WiFi and open hotspots whenever you have the opportunity. So you are getting ready to go on vacation this summer and want to make sure you are prepared for all potential emergencies or simply want to stay connected with your friends and family. Some of the best vacation spots in the World have poor cell phone signals . It always best to be prepared in case of an emergency and you need to make a call. Hiking in the woods without cell phone reception can be a bit unnerving, especially when you have a faint cell or WiFi signal to make a call and your phone battery is dead. 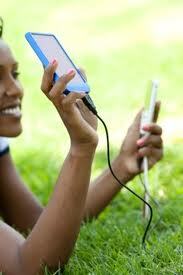 So when your outdoors and away from your a cell phone tower you will notice your battery drain faster. This is because your cell phone is working harder to reach a cell phone tower signal or using the battery sucking 4G. These are great reasons to be prepared with cell phone backup batter power or simply turn off data and stick with 2G only. 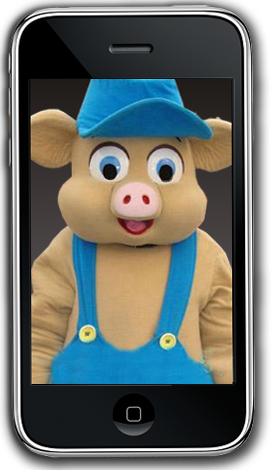 The short iPhone battery life problem and the short life of 4G phone batteries can be attributed to weak cell phone signals drain the battery and also transmission of stronger 3G, 4G and LTE signals. Here are some helpful tips to make your smartphone battery last longer as well. Smartphone on 4G use more batter life. Here are some solar powered products to stuff in your backpack on a hike or throw in the trunk of your car. If your home or office Wi-Fi isn't performing well you might consider improving the signal using an electrical powerline extender. Many larger homes and buildings are likely to have dead spots where you can't receive a Wi-Fi signal from the router due to walls or distance from the router. Netgear, D-Link & Monster all make WiFi powerline network adapters that you should consider below. This technique requires two WiFi routers and will work with Airport, Netgear, Linksys, D-Link WiFi routers. How does it work? Powerline extenders send a WiFi signal over the electrical powerline, instead of over an Ethernet cable. Simply, plug one powerline extender into your router and another into a power socket in a poorly covered area of your homes or office. However, you need to make sure that you both extenders are on on the same circuit, otherwise it will not work. In this case you can use an Ethernet to bridge circuits between adapters if they're not too far apart. Keep in mind you can have multiple powerline networks plugged into the same electrical circuit and do not plug into power-strips. If you want a further technical explanation of the technology read the Arstechnica Wifi networking article. If you are shopping for a new TV one of the biggest reason to upgrade your current home theater system is to have Pandora and Netflix streaming directly on your TV. 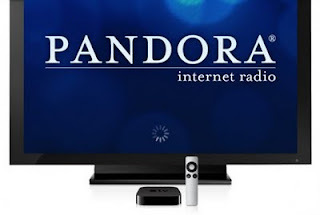 Most of the current TVs like: Samsung , Sony , Vizio , Panasonic or Sharp LCD, Plasma or TV have Pandora pre-installed. If you bought a new TV in the couple of years it is highly likely that you can hook an ethernet cable directly to it and also download the Pandora app through a simple firmware upgrade. The Pandora app allows you to give a thumbs up and thumbs down feature the same way you can on your mobile phone or internet streaming browser on your computer. Use the same password and login for all of your devices and soon you will have a customized and highly personalized music experience. Who knows you may never want to buy music again. If your DSL or cable modem / router is too far from your TV then you can simply use a USB WiFi TV adapter to connect to the internet . WiFi in TVs is a revolution disruptive game changing experience for consumers. Most people don't understand the technology benefits until they have tried it and realize how much money they can having a new TV. Having the Pandora and Netflix apps on your TV might save you hundreds or even thousands of dollars because you don't really need a home audio system anymore. The Pandora app lets you listen to endless amounts of music and you don't need a DVD player , CD player or Apple TV or Google TV box. Chances are also that your new TV will have the Pandora TV app pre-loaded on the TV as an app that you can use immediately. However, if your new TV does not have the Pandora TV app pre-installed you can most likely download it from the TV app store for free. Netflix is also great to stream on your TV as well but I use Pandora's TV app every day. 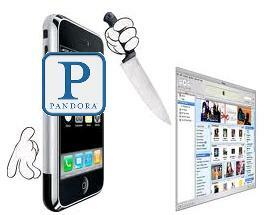 Pandora (NYSE: P) is a fast growing media company that just did an IPO and now has 94 million users. 33 million of those users stream music at their home and office every day. Its highly likely that Pandora will eventually branch off into other forms of media like TV and video once they get mas adoption of their personalization features. The more you use the app the better music it plays. Personalization of the web is the next big thing and its just as big as search was 10 years ago! That is why I am so happy to hear that Pandora raised $250M in an IPO this week after being rejected by hundreds of "smart venture capitalists" who said the company will never make any money and be successful. That is the same thing many said about Google (Nasdaq: GOOG) back in 1999 before they found their search advertising model Adsense and Adwords. I am still kicking myself for not buying Google's stock at $95 per share and not making the same mistake buying Pandora at $13 per share below their IPO price of $16. Aside from the obvious economics issues all of the short sellers and negative analysts are point out, I think the company could be disruptive to three huge industries who may resist the change (Telecom, Advertising, Entertainment). This is why I love the company and I am not making the same mistake this time and buying the stock (NYSE: P). Here are reasons why I like the product, stock, growth, the vision and the industry disruption. Its not JUST about music. Pandora will recommend TV, Movies and Videos? Pandora's display advertising is targeted, relevant and not annoying. This is ongoing list I will continue to add to. Please submit your suggestions below. See this company presentation on Slideshare about what the Genome project is measuring for recommendations. Its not just likes. If you are like me and like to use your Android or iPhone to stream Pandora in the car. How much data are you using and should you worry about going over your data allotment. It would take an average user 4.5 hours of streaming Pandora on a slow AT&T 3G connection (578 kbps) to max out the entire 200MB monthly data plan limit. Be careful if you are using the AT&T $15 per Month 200MB data plan on might recommend with the 2GB per month plan. The 2GB per month plan is just $10 more for the $25 per month on the AT&T DataPro plan? The 2GB data plan prof will get you 45 hours of Pandora music instead of 4.5. However, I always recommend using free Wi-Fi when streaming Pandora possible. T-Mobile HSPA+ has works pretty well around the LA area for streaming and would appreciate any feedback from others on their experiences streaming Pandora on Verizon, Sprint and AT&T in other parts of the U.S. 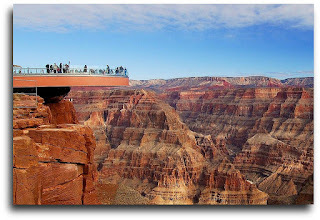 The Grand Canyon is one of the most famous tourist destinations in the World. The canyon is a steep-sided gorge carved by the Colorado River in Arizona and sits nearby Lake Mead. It is largely contained within the Grand Canyon National Park one of the first national parks at receives more that 4.5 million visitors per year. This glass Skywalk opened in 2007 which allows visors to view the Canyon straight down thousands of feet. You will have to enjoy the view without being able to upload your favorite photos to Facebook and Twitter because cell phone reception in the canyon is almost non-existent. One would think with all these visitors and the "broadband stimulus" from Obama Administration that this National park might be on the list to provide wireless reception for your phone for safety? Cell service from Verizon, AT&T, Sprint and T-Mobile is hard to find in the area. 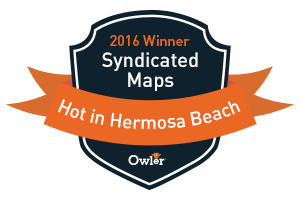 We would appreciate your contribution to the Deadcellzones.com map of areas where you found reception in the park. Click on the map below and type in Arizona or Grand Canyon Village, AZ to find the spot on the map to start adding complaints. Hilton Head Island, South Carolina might have some of the worst cell phone reception of any vacation spot in the U.S. for AT&T, Verizon, Sprint & T-Mobile. As you can see on the Deadcellzones.com map there are numerous dead zone complaints in the area for all the carriers. City residents and vacationers are being encouraged by the City Council to contribute additional information to the map above by adding your cell phone coverage problems to it. Simply, click on the map to add your complaint and follow the video instructions for additional details here on how to submit a cell phone reception complaint. The City of Hilton Head is hoping to come up with a plan to provide residents with coverage enhancements in the area for all the carriers using wireless broadband and additional distributed antenna systems (DAS). There are lots of reasons why Hilton Head suffers from poor coverage but we think its primarily due to the dense trees in the area. Cell phone signals do not penetrate trees, building and hills well and the amount of cell phone towers in the area is not sufficient to provide adequate coverage. 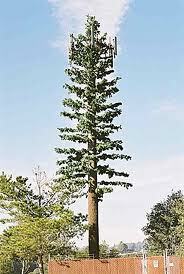 DAS antenna systems can be install on telephone poles in the areas and fake cell phone tower pine trees can also be used. However, this typically will come with some resistance from homeowners who don't want to have cell towers near their home. Residents and vacationers don't currently have many solutions to the problem accept using WiFi at hotels and vacation rentals whenever possible. However, when you are sitting on the beach you are likely to suffer from a lack of reception from all the carriers. Contribute your opinion and feedback for the City Council Planning Commission below. 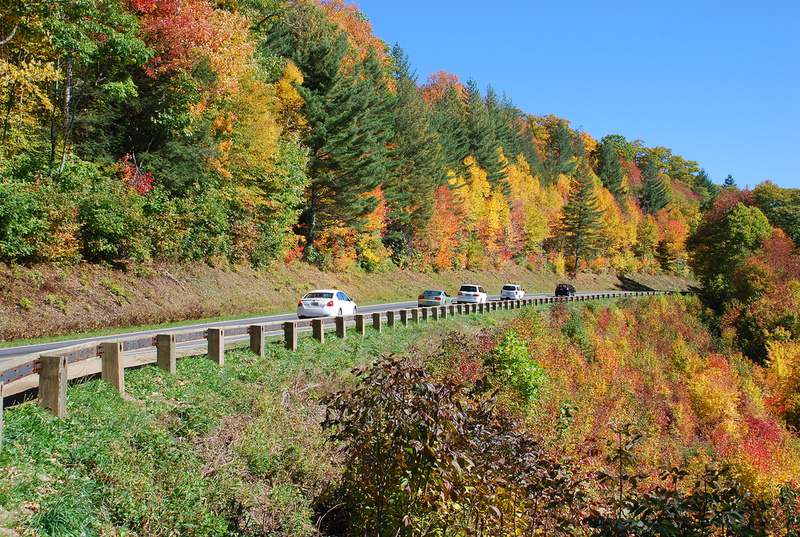 With more than 800 miles of protected trails the Great Smokey Mountains National Park is a natural wonder hosting nearly 10 million hikers and vacationers last year. Don't count on your phone working working in the area. Some have reported reception in the city of Townsend but anywhere toward a hill or mountain it was non-existant. In Wears Valley if you're high enough on a hill you might get a faint signal. What carrier works best in the area? Feedback is appreciated below and feel free to submit your dead zones directly on this map below after typing in Smokey Mountains National Park into the search menu. Some cell phones like Verizon make work better in the town areas, but do not work much at all inside the National Park. Do not depend on a cell phone if you may need 911 help. 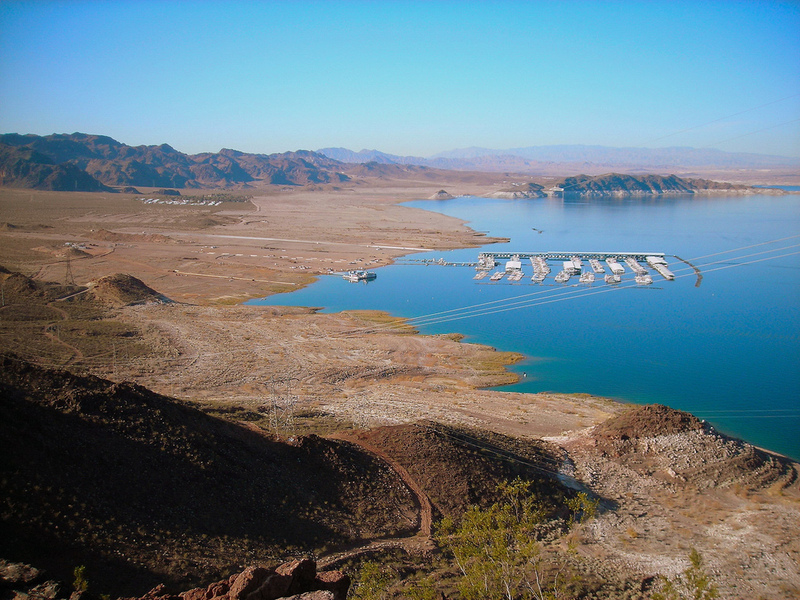 Lake Mead is 30 miles southeast of Las Vegas is the U.S.’s largest man-made lake and reservoir for house boaters, water skiing and fishermen. The popular vacation spot attracts 7.6 million people annual during the peak summer months. The is very close by the Grand Canyon which is beautiful for the avid hiker and adventure seeker. Cell reception in the areas on the lake are most often non-existent. Most of the roads do not have any cell phone reception in the area so don't expect your phone to work if you dial 911. You may find reception in the Temple Bar Marina and around Boulder City. If you travel to the lake and have tried using your cell phone please contribute pins on Deadcellzones.com where you don't have any signal at all. Here is our current map of the area which shows a lot of coverage problems in Las Vegas but not much around the lake. Please help. Are AT&T (NYSE: T) & Verizon (NYSE: VZ) making a long-term catastrophic business decision by imposing data caps and restricting tethering apps on their customers? Why are carriers are asking their customers to use their wireless and wireline service less while charging more? Are Verizon & AT&T not holding themselves accountable for under investing in their networks while overlooking free alternatives for data access like free Wi-Fi? Imposing data usage caps to reduce 3G network congestion is the wrong business solution and results in bad PR. Instead of investing heavily to fix the problems or subsidizing poor network performance for customers they would prefer to point the fingers at their customers who are they blame as the problem. Not only have they imposed data caps on mobile phones by AT&T has decided to start capping their U-Verse broadband data caps for customers. Telecom data usage caps are quietly killing the growth of mobile app business and Wall Street investors and consumers are going to pay for it severely. WiFi adoption is growing much faster than LTE because its free and mobile data plans are too expensive. Also, monitoring mobile data usage is hard and next to impossible. AT&T's first step to curtail the usage of data on their network was to AT&T kills unlimited data plans. The second thing they day was to install a tiered data plan and caps. So what was the reaction by consumers? More people buying WiFi iPads without 3G data plans. Both Verizon & AT&T iPad 3G sales are suffering as a result. Lack of 4G coverage and poor network capacity is the primary reason why it might be a waste of money for you to upgrade your phone from 3G. Data has grown by 25X in the last year years yet carrier networks are only upgrading their network capacity by 4X. Carriers will be behind the curve for many years and WiFi is still the best means to connect a phone for data access. So, before you go out and invest in a new two year contract for a 4G phone make sure you do research on the 4G coverage around you. So, where is 4G available? You research coverage testing the phone over the 30 day period before you commit to the new contract or by search other dead zone complaints on Deadcellzones.com. Here are some 4G phones on Sprint and T-Mobile if you are confident that you have a solid connection nearby. We still the the T-Mobile G2 is by far the best 4G phone on the market with its tethering capabilities. If you don't have a reliable 4G connection near your home or office the huge processor speeds your new phone has doesn't really matter. If you use primarily WiFi on your smartphone then 4G or HSPA+ will not make a huge difference either. If you live in a rural area of a city that does not have 4G yet don't waste your time. Our research has shown that 3G and 4G HSPA+ compatible phones are typically sufficient for accessing data on the small phone screens. There are very few compelling reasons why you would want a 4G phone on AT&T 4G phones or Verizon at this time when WiFi is the most reliable means of getting data access. T-Mobile HSPA+ and Sprint are much happier 4G customers. These customers are because they have few customers competing for access and data on the network. Can You Sue a Carrier For No Cell Phone Reception? What problems do femtocells solve? How do femtocells apply to different mobile phone technologies? What is Ubiquisys's new Super Grid? It is essentially a cellular Content Distribution Network or CDN using Femtocells. Intelligent small femtocells that work together to create a new generation of ad-hoc cellular network that deals with with interference and macro cells. Demand for mobile data is rising exponentially and small cells installed in homes, enterprises and public spaces can provide the capacity to boost coverage required. See this video below of Chris Gilbert, CEO of Ubiquisys explaining the concept and high speed cellular technology. Ubiquisys is a femtocell developer of 3G and LTE intelligent cells. Ubiquisys is collaborating Texas Instruments (NYSE: TI) and Intel (NYSE: INTC) to develop a new generation of small cells designed to meet the strong growth in mobile data consumption. These small cells will self-organize to minimize interference and be adaptive to the macro network at a fraction of the cell tower costs. This proliferation of small cellular and WiFi nodes creates new opportunities and challenges for ISPs and wireless broadband providers. These small cells have abundant storage to serve up local media and advertising. Service providers can now transform indoor mobile data dead zones into media experiences. New local advertising opportunities will soon have a content distribution network for serving data-intensive local content locally. IFrames will not work on IE 7 or 8 by default. Go to Tools -> Internet Options -> Security Tab -> Custom Level for security zone. Scroll down about half way down and you will find the 'Launching programs and files in an IFrame (not secure)' option, select 'Enable'. This should allow Iframes to show up. This setting is enabled by default in IE6 but not in 7 or 8. AT&T came out with femtocell device 2 years ago to help their customers extend coverage to inside their homes and offices. How is a Microcell different from a cell phone signal booster which amplifies a signal or WiFi calling which is free. AT&T now has more Microcells on their network than cell phone towers and its growing at a rate of 50% vs their cell phone towers where are only growing at a rate of 8%. AT&T has sold more than 350,000 Microcells on their network in just two short years and only has 256,000 cell phone towers on their network. An AT&T Microcell helps iPhone, Android and Blackberry customers get better reception indoors. It doesn't amplify the signal like a repeater but rather it routes the voice and data traffic through a broadband connection. The AT&T Microcell drops calls so beware it does not provide a perfect fix to network problems. Frustrated AT&T Microcell customers can complain here. We still recommend using WiFi for calling whenever possible and here is how to boost your WiFi signal. See also our recommendations on how to get an AT&T Microcell for free. Can Mobile Phone Consumers Really Trust Their Endorsements? Facebook & Microsoft (NYSE: MSFT) have both signed a formal petition asking the FCC to APPROVE the AT&T purchase of T-Mobile. Shocking to see a former Monopoly/Anti-Trust defendee like Microsoft not worrying about another possible Monopoly/Anti-Trust candidate being created in a merged AT&T/T-Mobile. Its no big surprise because Facebook gets AT&T advertising dollars & AT&T is now the main provider Microsoft windows phones. It disgusts me to see AT&T using companies and not real people to endorse the merger. So I thought I would make examples of who is leading these companies endorsing the merger. Would love to hear it articulated directly from Zuckerberg's and Ballmer's mouth who both don't understand any of the implications and are simply looking out for their business interests. This merger precedent would also aid Facebook & Microsoft should they be brought up for monopolization. Facebook, Microsoft, and now struggling RIM are in on this together because it reduces the number of providers using Android phones, thus reducing the competitive pressure of Google. Microsoft needs leverage now that it owns Skype and will try and use the Windows platform to start competing with Google's free Android. Don't be surprise if you start seeing Facebook and Skype integration if Bobsled fails. Only a blind fool thinks that the merger won't stifle competition. What do these guys know about wireless spectrum shortages? On the heals of Verizon (NYSE: VZ) charge $93.5M in illegal taxes AT&T (NYSE:T) tops it stealing nearly 10 times more at $1B dollars. The taxes collected were said to be in violation of the Internet Tax Freedom Act. The law bars federal, state and local governments from taxing Internet access and from imposing discriminatory Internet-only taxes such as bit taxes, bandwidth taxes, and email taxes between Nov. 1, 2003 and Nov. 1, 2014. Of course AT&T did not admit any wrongdoing in the Class Action case filed. Lawyers at Midwestern law firm, Bartimus Frickleston Robertson & Gorny PC filed lawsuits in all 50 states. Robertson said that the class in the case varies in size depending upon how it is counted. He said there are roughly 29 million contracts and 49 million individual phone numbers that are covered under the class period, which runs from November 2005 to September 2010. A federal judge in the U.S. District Court of Northern Illinois approved a proposed settlement in the case last week. According to lawyers at the Kansas law firm Bartimus Frickleton Robertson & Gorny PC, AT&T will be working with the firm to get state and local governments to repay a maximum of $956.16 million to customers. Michelle Peters' AT&T iPhone worked fine when she bought it in October, but when she moved a few miles away she found she was in a "dead zone." "Our cellphones don't work where we live, and AT&T won't let us out of our contract," Peters, 36, said last week. When Peters, who works as a makeup artist in Palm Beach, was at home, her cellphone service was unreliable, with dropped calls or no service at all. Her fiancé, Patrick Hurley, 32, a property manager and fellow AT&T customer, had the same problem at their residence north of Gateway Boulevard near Congress Avenue. Two days after The Palm Beach Post contacted AT&T on their behalf, the company agreed to give them a credit for $599.96, the amount of the cancellation fee for both phones. While Peters and Hurley are happy with the resolution, they want others to know about their frustration. "For four months, I have called. They said it was the trees, the weather, the buildings. I said, 'Either way I said, I do not have service,' " Peters said. The couple was told AT&T lacked a tower in the area, but one would be coming soon, Hurley said. The last straw came when the couple accidentally set off their burglar alarm and their phones did not work. "At that point, it became a safety issue," Peters said. AT&T spokeswoman Kelly Starling said that Peters lives within the provider's footprint, but outlined reasons for the problem. 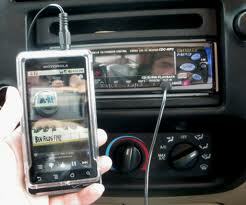 "Wireless devices are radios and are ruled by the laws of physics. Thick walls, trees, tall buildings, hilly terrain or bad weather can cause interference," Starling said . AT&T's website shows Peters' address as having "moderate" coverage, the lowest category after "best" and "good." Peters and Hurley tried AT&T's suggestions such as purchasing a 3G MicroCell that acts as a mini-cell tower, but that didn't help, they said . Starling said AT&T is continually investing in its network to provide the most advanced mobile broadband service. In April, the company announced plans to upgrade 200 local cell sites in the Palm Beach County/Treasure Coast network. The Gateway Boulevard area is one of those benefiting. Jeff Cohn, founder of Deadcellzones.com, said the scenario is common. The website, which relies on customer reports, shows where so-called dead zones are for AT&T, Verizon, Sprint and T-Mobile. Palm Beach County has worse coverage than most areas, he said. "Carriers give us false information about where they provide coverage. The government doesn't require them to do so. There is actual coverage and there is theoretical coverage," Cohn said. In medium-sized areas such as Palm Beach County, the problem is often due to an insufficient number of cell towers, he said. It can be a problem in areas where no one wants to live near a cell tower. "Cities are notoriously hard on the carriers in terms of putting up new cell towers," Cohn said. To get around that, companies are installing smaller antennas on telephone poles, he said. Cohn said while a cellphone contract may state the service cannot be canceled after 30 days, there is what's known as a "material adverse clause" that allows customers to terminate their agreements if they prove there are problems. He suggests checking his website's maps, then presenting the information to your carrier. Cohn said one way around the problem is to use a wi-fi network, technology that uses radio waves to provide wireless high-speed Internet and network connection, for cellphones. However, AT&T does not allow customers to route cellphone calls through a wi-fi network. "The future of cellular is not necessarily in the cell towers," Cohn said. "It has to be with better utilization of wi-fi networks." Does Verizon Have a Mark the Spot App? Does Verizon Wireless have a Mark the Spot mobile app similar to AT&T so customers can easily report network problems? Is it worth it and what does AT&T do with all the Mark the Spot data? It doesn't surprise me that we cannot find an app for their customers to report network problems because their network is "perfect". Verizon is notoriously bad at over promising network reception in rural areas that are complete dead zones. It doesn't surprise me that Verizon still does not have an application to report network problems when upwards of 40% of customer service calls are for reception and phone issues from most carriers. Verizon fired the Can You Hear Me Now Actor and so its about time they come up with some new brainwashing tricks. It has been rumored that AT&T has hundreds of thousands of customers giving them cell coverage data about where their cell reception stinks. Do they do anything with the data or give customers feedback on how to improve coverage or when they plan to upgrade the network in their area. Verizon thinks they Rule the Air but now that they have the iPhone are they experiencing more network problems? We have been receiving a lot more reports on Verizon Dead Cell Zones ever since they started selling the CDMA iPhone. Also, since the launch of the iPhone we have also been receiving a lot of Verizon coverage complaints on the East Coast as well. What is the Most Uncompetitive U.S. Industry? One of the best ways to determine amount of competition in an industry is to look at the dividend yield of the industry. The dividend yield is usually determined by the amount of excess cash a company has left over at the end of the year less expenses. Dividends are typically only paid by companies in industries where there is little room for growth and that have huge profit margins. The S&P 500 average dividend yield is 1.9% and the telecom industry has a 5.3% yield. This yield is surprisingly even higher than our highly subsidized utility industry at 4.3%. The telecom industry is notorious for under investing in its infrastructure because shareholders always come before customers. The US is way behind the rest of the World in wireless service availability and speeds. This is the primary business reason why I think there is not enough competition in the wireless business and too much telecom corruption in the FCC. See our wireless telecom competition chart. The FCC measures competition incorrectly at a local level and does not look at macroeconomic financial issues with respective to the ability to compete. Both Verizon & AT&T are two of the highest dividend paying companies on Wall Street and are threatening to consolidate an industry even more at the expense of their customers. AT&T paid $10 billion dollars in dividends to shareholders in 2010 while competitor Verizon paid $5.4 in dividends in 2010. Consumers who are interested in seeing more innovation should make sure that our politicians block the merger. AT&T has plenty of spectrum and will do just fine without acquiring T-Mobile. Apple announced some new features today during its Worldwide Developers Conference that will affect wireless carrier revenues in the future. AT&T and Verizon each make about $10 Billion dollars per year on text messaging revenue plans per year from their 30 million customers. Apple's new, free iMessage service should be a heard as a "shot across the bow" to the wireless carriers who overcharge for text messaging services which should be free. Apple's new iMessaging service will go over the data network, and won't count towards your 500 or 1000 text messaging monthly plans. If you are only messaging your friends with iPhone's or Apple devices you are in luck and may never have to pay for an SMS data package again. Paying $10 for text messaging does not make any sense and should be free. The average AT&T iPhone users sends 621 text messages per month on AT&T. This costs the average iPhone subscriber .33 cents per day or $10 per month to send something that costs a fraction of penny to perform. The gross margins on text messaging for carriers are astronomical and the service should be free. Similar services like Skype, Google Voice, Twitter and Facebook provide free service for consumers and are actually better services. These services are all free for PC or Mac users who access the internet through WiFi and $25 a month through an existing data plan. One concern about eliminating the data plan is that the carriers will undoubtedly try and start gouging consumers even more on data plans. So we recommend to all consumer get used to finding, using and putting up free WiFi whenever possible. Free data is the only way of the future. Apple Cloud Computing Services "Part Deux"
Apple introduced Mobile Me in June 2008 to the much traditional Apple hype and frenetic press coverage. Apple’s launched Mobile Me charging $99 and now it is accepting refund requests because the service is now free. (see below). Effective June 6, 2011, if you had an active MobileMe account from Apple, your service has been automatically extended through June 30, 2012, at no additional charge. The MobileMe service will no longer be available after June 30, 2012 because Apple is re-branding or re-launching MobileMe cloud services as iCloud. iCloud will be launching later this month which is Apple's second try at charging for cloud computing services. On a positive note, Apple will be disrupting the carriers $36 billion dollar text messaging business which is great for consumers. Here are the details on the service now being offered for free. All of your MobileMe mail, contacts and calendars will be moved to iCloud and you will retain your me.com or mac.com email address. Its short notice, but MobileMe Family and storage upgrades won’t be available after today and you can no longer create a new MobileMe account or start a two-month trial after June 6, 2011. People with unused activation codes obtained with a MobileMe box purchase can submit a Mobile Me refund request. Why Does Apple Charge $30 for the Mac OS X Lion Upgrade CD? Is Apple missing the mobile browser computing trend? Apple wants you to pay another $30 to upgrade your Mac from Snow Leopard to Lion OS X. Isn't it strange that Apple wants you to go to the store to buy another physical CD and charge you $30 when they have a beautiful new data center in North Carolina? Apple has always charged for operating system upgrades as they did $29.99 for the Snow Leapard upgrade. Snow Leapard was a minor improvement and they continue to use an old school business model of charging for software upgrades and seem to be missing the boat on browser computing. Why wouldn't they make the operating system available for download again in your beautiful new data center that will be hosting iCloud services soon? Wouldn't you think that Apple might test their data center capacity and allow their customers to download the update versus going to a store to purchase the CD? All of the new IOS features (Gizmodo) that Apple announced seemed to be simply catching up with Android or Google Services that can be easily used with a Chrome browser on any computer without operating system upgrades. The only thing that seemed unique was tighter Twitter integration into the operating that seems somewhat trivial. MobileMe was a failure for Apple and now they are hoping that users will sync messages, email, documents and pictures across multiple devices. When will software updates finally end because there isn't a day that goes by when my iPad isn't offering me an annoying application update. It surprises me that Apple continues to push their operating system without pushing harder into netbooks . Google's $20 Per Month Chrome Net Books seems to be a few years ahead of Apple with regards to cloud computing. Apple is clearly losing ground to Google and lacks a vision of providing users what they really want. Netbooks that access and use the cloud exclusively for operating system upgrades. Lets hope that Apple soon comes out with a netbook of their own. How to Sync Email, Text Messages & Docs on iPhone, iPad & iPod? Carriers do not like this but iPhones, iPads and iPods will soon have an iCloud email, text messaging, documents and photos syncing feature. The messaging feature will sync email, text messaging across the iPhone network to other Apple devices. The documents and photos feature will sync data into the cloud across multiple devices. This is commonly known as cloud computing and Android and Google Services have been syncing Gmail, Calendars, Docs, Picasa for a few years. Apple's "new" iMessage service supports iPhone, iPad, and iPod touch. Will this disrupt the $36B text messaging industry of AT&T, Verizon, Sprint & T-Mobile? 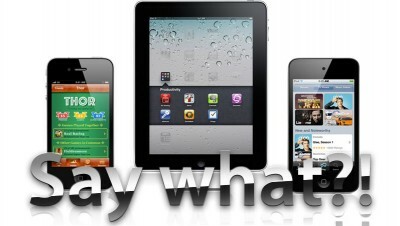 Will the carriers start augmenting text messaging plans and start reselling Apple's iCloud services for $10 per month? How much will Apple charge for this or will this be a feature that is simply an additional costs center. iCloud is obviously playing catch up with Google web services. The only new feature that I heard is being able to sync the last 1,000 photos from your iPhone into the cloud. iMusic is another new product for $24 per year that will recommend music you might like. Sounds very similar to Pandora but a lot more expensive if you have to buy the music. Will this cause iPhone storage issues and presume this only works over WiFi I hope? AT&T MicroCell GPS Extender Needed? Do you really need to have your AT&T MicroCell signal booster near a window for the network extender to work? Yes initially to get a GPS location on the device. However, you don't necessarily need a GPS extender because the MicroCell should remember the location if you initially power the device on near a window when you first install it. After the device finds your GPS location you can move it to the interior portion of your house or office. You can also put it in a cabinet or location near your network or broadband router. If you need to buy MicroCell GPS Network Extender the for $24.95 it is easy to install, just plug it into the jack on the MicroCell, no other configuring needed. It may help you prevent loss signal, in fact, this will allow you to place the MicroCell closer to the center of the house for better coverage throughout the house.Keep in mind the AT&T MicroCell drops calls so set your expectations low when you first start using the network enhancer. See also Powerline Extender. Are Consumers Offloading Cellular Data in the Wrong Direction? The wireless telecom marketing machines have brainwashed the mainstream media into thinking that the term "offload" data is best for consumers. I hate the term "offload" because it implies it's ok for YOU the customer to subsidize YOUR wireless operators network deficiencies. 3G and 4G networks have hit the wall with consumers using too much data and WiFi is becoming the only solution to access video and rich content on your phone. Mobile phone operators should be PAYING YOU or subsiding your data plan if you offload data away for them. They should not be allowed to simply get away with this criminal marketing activity. Sophisticated phone users know that WiFi only phones and devices are best and use the 3G and 4G networks only with they have to. It is now possible to easily travel in New Zealand, Europe and many other countries around the world without ever using a 2G or 3G network. Making phone calls on WiFi with VoIP is very easy and accessing your data over WiFi is even easier. Mobile consumers users should be offloading data TO 3G when WiFi is not available and not the other way around. Why are wireless carriers AT&T and Verizon getting away with convincing their customers to offload their cellular 3G data they cannot handle without any compensation of subsidy. Lets face it the carriers are starting to hit a wall with the amount of data capacity they can provide on their networks. The wireless carriers only solution is to start imposing data caps to encourage their own customers to use their service less while charging you more. This doesn't make any sense and the reason a WiFi revolution is upon us and consumers need to start getting smart about where, when and why they access and use 3G and 4G networks. Consumers are fed up with buying 3G and 4G devices that only work some of the time and would prefer to use more cost effective WiFi only iPads whenever possible. WiFi only iPads are selling more than 3G and there is a good reason why.